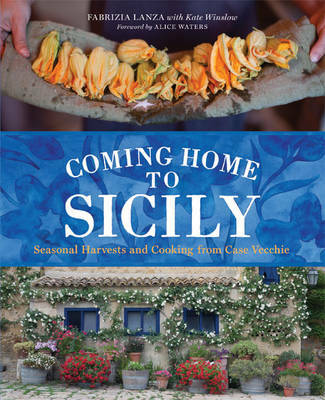 It is a story about Case Vecchie, the most notable cooking school in Sicily, the foods it produces & the loyal staff. It includes plus more than 100 traditional Sicilian recipes. It also includes colour photographs to bring the beauty of Case Vecchie to life. Case Vecchie is the most notable cooking school in Sicily, a place where life is lived and food prepared the same way it has been for centuries. And this delectable cookbook from owner Fabrizia Lanza is the definitive source of authentic seasonal Sicilian foods. Co-authored with former Gourmet magazine editor Kate Winslow, it tells Fabrizia's story of coming home to the family estate, Regaleali, to assist her ageing mother with the cooking school that she founded in 1989. Fabrizia writes eloquently and in detail about the seasonal harvests, the foods produced (cheeses, jams, olive oil, vin cotto, estratto and more) and the loyal and talented staff who make it all possible. Along the way, she offers more than 100 family recipes that she shares with her students. Guy Ambrosino's stunning colour photographs bring the beauty of Case Vecchie to life.